Coplin Jar is made of Polypropylene can hold 10 slides of size 1"x3" back to back. The interior of the Coplin Jar is grooved in a way to hold slides in erect position. Domed & shallow thread screw cap provides protection to the slides. 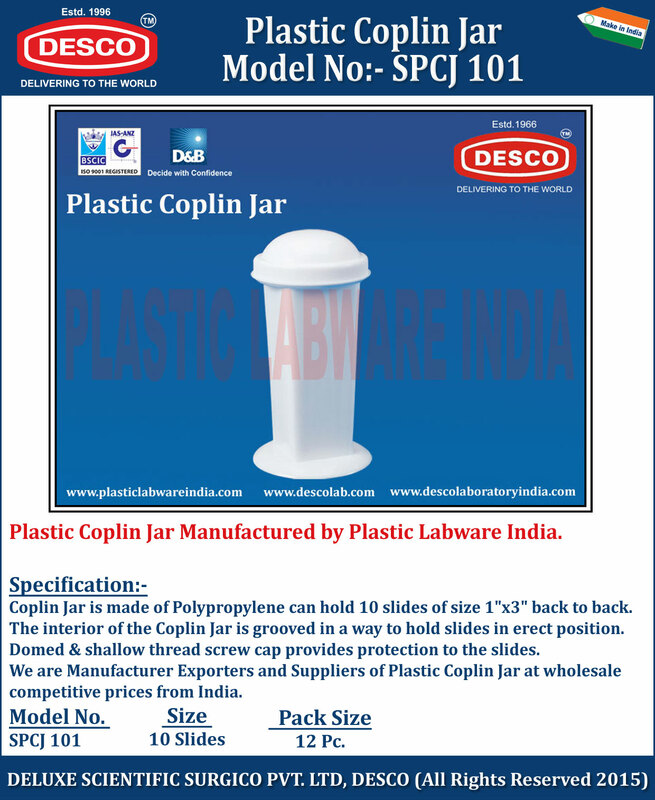 We are Manufacturer Exporters and Suppliers of Plastic Coplin Jar at wholesale competitive prices from India. SPCJ 101 10 Slides 12 Pc.